The tide finally appears to be turning for Leni Gas & Oil (LSE:LGO). Although the company's share price are flat since the start of the year the recent announcement of a £50m debt facility plus a series of positive operations updates has seen the shares lift off lows and they now look set to push forward. The company is listed on the alternative investment market within the oil and gas producers sector and has 1.88 billion shares in issue. At the current price of 1.09p/share this gives Leni a market cap of just under £20.5m. The technical position of the shares is positive as it stands with an upward trend having stemmed from the debt facility agreement. Whilst a pullback to 1p would be likely if the wedge fails, it is more likely it will continue to trend up especially since the stock has exhibited strong intra-day movements. There is a moderate institutional backing for the company with multiple industry firms holding over 40m shares. There is a strong backing from the board of directors with both CEO Neil Ritson and David Lenigas holding significant amounts of shares. In particular, Lenigas holds 153.5m shares which equates to a value of well over £1.5m. He last added to this stake in November 2012 at around 1.4p. Leni have to principal assets located in Northern Spain and Trinidad respectively. In Spain the company is the sole owner and operator of the Ayoluengo field that has long been a production hub (since the 1960s). A lack of investment combined with new exploration frontiers eventually meant that the acreage was underdeveloped so in late 2007 Leni took a stake (through its wholly owned subsidiary CPS) to try to regain production levels that were around 2500 bopd in the 1980s. They plan to do this through a series of relatively new techniques such as EOR that were not available decades ago. Over 100 million barrels of ~37 degree API oil is said to still remain in the field (OIP). Leni has started ramping production back up from lows, initially reaching a ~125bopd level, but which has since increased significantly to over 250bopd although this has flatlined with 2012 production at 49,827 boed compared to a slightly higher figure of 50,742 boed in 2011. The project currently sells the recovered oil and fuel oil to industrial groups. Although oil recovery rates are currently between 17-20%, EOR techniques are expected to boost this figure by half. Aside from the production aspect of the field, there are also exploratory parts although these have not been pursued by Leni recently with the company actually launching a formal farmout/sale process for the Spanish assets in order to focus upon the Trinidad field. The farmout/sale process launched in January 2012 through the opening of a data room where 18 companies signed non-disclosure agreements for what is Spain's largest onshore oilfield. A number of proposals were received by the company with a front runner being granted a period of exclusivity to finalise a deal in return for a cash sum. Multiple deadlines that were set by the bidder were missed with acquiring the financing required for the deal, being a hurdle. With more deadlines missed and cash penalties being imposed on the potential buyer, the agreement was eventually terminated with the sale process restarting. In early 2013 the company did receive an offer from a Spanish buyer, but that party is still conducting due diligence. As the company notes : "In early 2013 an offer was received from a new Spanish corporate buyer and at the time of this report due diligence by that company is still on-going, but no definitive agreement has been reached." Considering Leni is only capitalised at £21m, there is scope for a material part of the market cap to be transformed into a cash sum following any sale or farmout and this could act as a catalyst for the company. However, this deal could still fall through and there is no timescale for this so it is a possible 'side catalyst'. The group's other assets lie in Trinidad across several fields: Goudron (100% WI), Icacos (50% WI) and Moruga North (49% WI). The Goudron IPSC has proven and probable reserves of 7.2 million barrels with this figure potentially rising up to 60 million barrels when factoring in a waterflood project. Icacos and Moruga both currently have producing assets that help to part fund the work programmes with the former field having production of 40 bopd from just 3 wells. Leni also has "Ownership (100%) of 1,750 acres of underexplored private oil leases in the Cedros Peninsula, with significant deep exploration potential". A company target has been put in place to attempt to reach the 50 producing wells milestone in under 12 months (with a few months having passed since). Since Leni has taken the helm of Goudron, production levels have soared from circa 50 bopd towards 200bopd and this has been achieved in just over 12 months. If such a fast rate of growth continues to be maintained (and it should), the company should become profitable very quickly. In mid-March the company signed a non-binding heads of terms agreement with Maxim Resources to gain access to other entry points in Trinidad. Following this Leni announced the receipt of 10 pump jacks for its Goudron field. Considering that the 200 bopd milestone was surpassed in January 2013, these should increase the number of wells that are currently producing which will subsequently lead to an increase in oil and gas production - this is almost inevitable barring some sort of mechanical failure. Consequently, any approaching RNS on production in Trinidad is likely to be positive and potentially act as a catalyst to boost the shares higher. Furthermore, 10 pumpjacks were also said to be on order and due for arrival in late April hence these are likely to have already arrived and looking futher down the line, another 10 are expected to arrive in June. With 90 wells suitable for production that are currently offline, these cannot come quick enough. Leni is also involved in a court case regarding the sale of its Malta assets in 2012. The company believes it was mislead by the buyer of the interest - Mediterranean Oil and Gas (LSE:MOG) who, after purchasing the interest, quickly farmed it out to Genel Energy on favourable terms. CEO Neil Ritson stated: "We have repeatedly asked MOG to answer simple questions explaining the facts at the time the Company agreed to sell its interest and since we have not had what we regard as satisfactory answers, LGO's board has found itself with no option but to seek relief through the Courts." This could also potentially be a side-catalyst for the company as the company would likely benefit from having some residual cash. Leni made a very encouraging announcement in early May which should help resolve any funding issues plus help fast-track developments across its Trinidad assets. The company had entered into a $50m debt financing facility with 'Meridian' that is not repayable for five years. The first drawdown is for $20m. 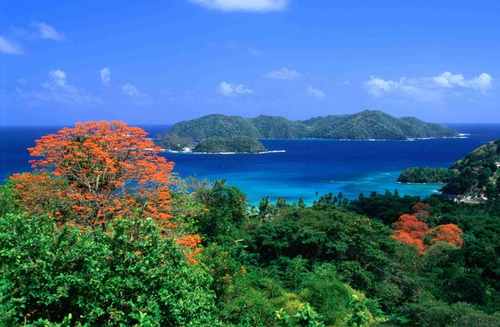 Leni's CEO Neil Ritson commented: "This represents a very significant step forward for the Company and will provide the funds needed for the development of our existing reserve base in Trinidad and Spain, and will additionally accelerate our plans for production growth in Trinidad." Importantly, this both alleviates any need for further share dilutions (the number of shares in issue would not want to be increased further), but it also gives the company a huge budget to play with and this should allow for concurrent developments in Trinidad. Aside from this, it is a clear vote of confidence in the company - giving a (currently) smallcap oil and gas producer a $50m loan when it is only capitalised at just over £20m speaks volumes. Of course, on a longer-term basis, if the company cannot meet production goals, the debt would become a lingering issue, but considering the timescales involved with the facility it is not much of an issue currently. 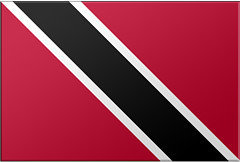 The plans for Trinidad in 2013 include continuing to increase production at Goudron through drilling new wells and re-completing older ones and restarting oil production at Moruga North. These activities are low risk, but should have a further positive impact upon the company's finances. Only one broker rating is currently assigned to the stock. Leni's joint broker (take it with a pinch of salt) have stated a 3.1p target price with a buy rating for the stock. This is well within the capabilities of the company and there is no reason why such a valuation could not be reached in the long-term. It would be overly optimistic to see this as a short-term target though (0-3 months). On a short-term basis, a share price of around 1.5-1.7p is probably more justifiable compared to 1.09p. Old Park Lane's company analyst commented: "With access to new capital, LGO now has an exciting opportunity to drive ahead the development of its portfolio of Trinidad assets. In particular, the company can accelerate the well workover programme on the Goudron field which has at least 90 additional wells suitable for workover activities. Current production, which peaked at 200 bopd in January, is derived from approximately 20 wells, implying that there is substantial productive upside from a sustained and well-funded workover programme." There appears to be significant short-medium term potential here once again on both a fundamental and technical basis. Whilst there are negatives such as the number of shares in issue, the positives do seem to outweigh them and thus I am inclined to believe that gains are to be had with Leni. At 1.09p a share I have placed a buy tag on the shares.